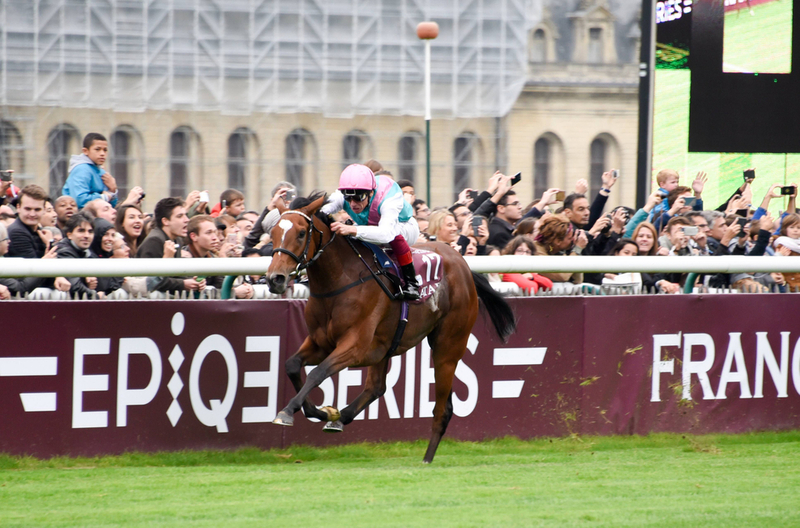 With just under a month now until the 2018 Prix de l’Arc de Triomphe, Enable added her claims for a successful defence of her title after an emphatic return in the September Stakes at Kempton on Saturday. Enable’s return to the racetrack had been eagerly awaited by most racing fans after she suffered a setback at the start of this season. Some questioned if John Gosden’s mare would re-discover the form that saw her win five Group One’s last year, but if anything, she looked even better. This was no light stroll. She came up against the Sir Michael Stoute trained Crystal Ocean, who had finished second in this year’s King George, and more importantly, was match fit. Enable led from the front, and after going through the gears up the straight, she quickly saw off her rivals and was eased down to a three-length-victory. This success saw Gosden’s stable-star cut from a 4/1 chance to spearhead the Arc market as a 7/4 favourite. She will go into the race at Paris Longchamp full of confidence, and if the ground is fast, she will very difficult to beat. 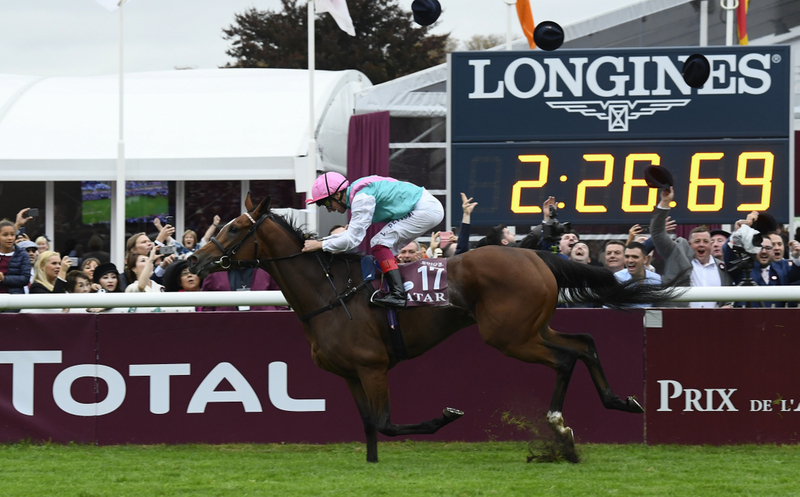 So how is the market shaping ahead of the French showpiece, and who stands in the way of Enable rewriting the history books as only the seventh horse to defend her Arc crown at the first time of asking. She only has to tilt her neck out of her stable porch to see one of her stablemates and main rivals for the Arc- last year’s Champion Stakes successor Cracksman who looks to head to France heavily ground-dependent. Cracksman’s four-year-old campaign has been brought to somewhat of a standstill after disappointing in the Prince of Wales stakes at Royal Ascot. Owner Anthony Oppenheimer admits that Cracksman is very much a gamble for the Arc as he will head to France without running in a trial or at least a preparation run. Racing in the same colours as the famous Golden Horn, if the son of Frankel is back to his best, it will produce the race we all wanted after the conclusion of last year’s Arc, as the clash of the season. With Frankie Dettori unsurprisingly set to side with Enable, it opens the door for the likes of Andrea Atzeni or Robert Havlin to fill in. William Haggas’ Sea of Class looks to be the best of the 3yo entries. The daughter of the great Sea The Stars, beat Coronet in the Darley Yorkshire Oaks last time out after a tactical masterpiece from James Doyle. Furthermore, she will receive more interest from punters as not only does she receive the 3yo allowance, but she will knock off a further 3lbs as she is a filly. As for the hosts, French derby winner Study of Man will try his hand against Britain’s best. As will Waldgeist, who won the Grand Prix de Saint Cloud by a nose in July, a Group 1 race over the Arc distance. He beat last year’s Arc second Cloth of Stars that day so that will give the form a boost. The French also have Talismanic, who won the Prix Gontaut-Biron Hong Kong Jockey Club, a Group 3 event in good style last month. Aiden O’Brien will send out his usual brigade of potentials, and Order of St George could be in the frame once more, having placed in the past two renewals. Ridden rigorously from the front, you know he will stay the distance, so he will inject the pace and look to burn his rivals out from the front. Should Capri prove his fitness, then he will look to make amends for his poor run last season having won the St Leger a couple of weeks prior. The current market reads Enable as the 7/4 strong favourite, with Sea of Class second favourite at 4/1. Cracksman is 6/1, with Crystal Ocean, Poets Word and Capri best of the rest. But they will all need to beat John Gosden’s superstar, who will return to Paris Longchamp, to do it all over again.